Bullying has become a common childhood issue. Children are hurt physically and emotionally by bullies on a daily basis. I Like You, I Like Me, Too! 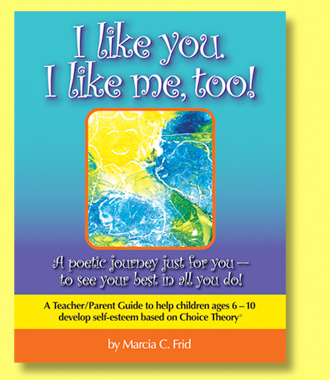 is a fun and easy-to-use anti-bullying 200 page parent/teacher resource, used also by counsellors, psychologists, and librarians, to help children realize their potential and the power of choice in their lives. It is an opportunity for them to begin to "think out of the box" from a very early age and prepare for their future by meeting their own needs, setting their own goals and learning how to make themselves happy by choosing positive behaviors. They also learn to evaluate if what they are doing is helping them get what they want. I Like You, I Like Me, Too! is intended for children up to the age of 10 and can be easily adapted to kindergarten and middle grades. 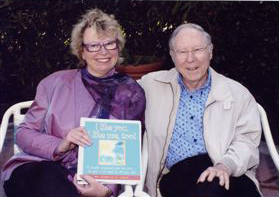 Author Marcia Frid has crafted “The Magic Choice Carpet” as a teaching tool to teach Choice Theory®, developed by Dr. William Glasser of the William Glasser Institute. 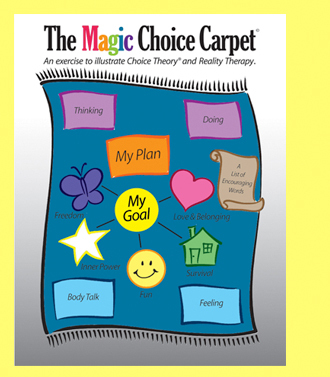 Marcia Frid’s Magic Choice Carpet provides a structure to teach children Choice Theory. I Like You, I Like Me, Too! expands her work in helping children satisfy their needs in a variety of exciting ways. Students learn the benefits of knowing and understanding the Choice Theory® habits in pursuing their goals, in connecting with others, in examining their behaviors and in discovering how to form lasting relationships required for a happy life. I Like You, I Like Me, Too! is a very useful resource.